This LEGO game will give you some flight experience. Get ready to complete mini tasks in the air. 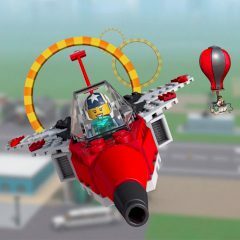 Are you ready to play a LEGO game where you will get your first plane? Assemble it and fly through rings and other interesting things. Dodge clouds and obstacles that may appear on your way time to time.